Last year, I made a series of New Year’s resolutions. Let’s see how they panned out, shall we? I had a LOT of photos to sort through. They were all jumbled in an “unsorted” folder and stuck in the (partially date stamped) folder that the camera assigned them. It took a lot of time, but I finally sorted every last photo from 2011… and then promptly fell behind in sorting the ones from 2012. Luckily, however, I spent some time on those and now have every last photo sorted. You’ve checked out my Twitter follower management website, right? If the answer is yes, then thank you. If the answer is no, then get thee to FollowerHQ! It will let you see who is following you that you aren’t following back. Then you can decide whether you want to follow those people back or not. I had a bunch of ideas to improve it, but couldn’t find the time to work on them. I would do a bit of work here and there, but things always seemed to get in the way. My latest effort was my best one, though. Spurred on by some big Twitter API changes, I’ve come up with a pretty radical alteration to FollowerHQ. I’m tentatively calling it FollowerHQ Version 2 (because I’m just that awesome at naming things). At the time of my resolution, my only promotion of my tweets was an automated “Hey, this post is now live” tweet. After that, I relied on remembering to tweet about it. That is to say, I never tweeted about it. You can write the best blog post in the world, but if nobody knows about it, does it matter? Now, I could spend every second of the day promoting my many posts and doing by best to drive traffic to my blog… except that I have a day job. 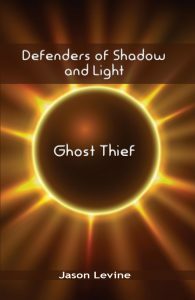 I can’t spend all day promoting blog posts when I have day job work to do. I can’t spend all night promoting blog posts either because I have to work on new posts as well as make dinner, clean up, organize photos, etc. The solution? I found a WordPress plugin called Tweet Old Posts. It did just what it sounds like. At an interval specified by me it would take an old blog post of mine (how old is up to you, I set mine at 2 weeks) and tweet it out. It took some minor fiddling with the settings to find the sweet spot of “too much tweeting” and “almost never tweeting”, but I’m happy with the result. No, it’s not a hand-crafted promotion, but it’s the best I’m going to get given my limited time. On one hand, I love cooking. Spending time in the kitchen turning a bunch of raw ingredients into a delicious dish. On the other hand, I hate cooking. Especially when I’m tired from work, put in a lot of effort to cook a meal, and then hear a rousing chorus of “Ewwww…. I don’t want that…. I don’t eat that… I want something else!” Nothing punctures my Will To Cook faster than the prospect of making one meal for B and me, one meal for NHL, and one meal for JSL. If I’m going to do this, I might as well toss some food in the microwave and hit the buttons to get dinner ready. Why bother doing more just to hear how nobody likes the food? Especially when I can hear about how great a cook I am when I toss frozen chicken on a paper plate and heat it in the microwave for 3:30. I’ve had my cooking moments, though. The weekends have been taken over by making eggs, toast, and “fakin’ bacon” (soy bacon – we’re Kosher in the house) for breakfast. It’s a simple thing, but so much nicer than cold cereal or pop tarts. NHL has been getting more adventurous with his eating too. Now, if I could just lure JSL away from the “I don’t eat anything different than the things I’ve always eaten” camp. I’ve had quite a few Just The Boys days. We’ve gone to parks, museums, restaurants, and more. They love spending time with me and I love spending time with them. It is a refreshing change from the usual times I see them during weekdays (before going to work when I’m in a rush to get out the door and after coming home when I’m tired and not looking forward to the nightly fight over dinner. About the only reason that I’d say I haven’t done this enough is that I can never spend too much time with my boys! We’ve gotten a few nights out alone. We’ve even had a trip to Disney World where we (*gasp*) didn’t bring the kids! In the case of the former, it’s great to get out so it is just the two of us. In the case of the latter, it was great to not only have a few days where we didn’t need to worry about the kids, but it was nice being able to decide what to do in Disney World ourselves instead of catering to the boys. We could walk for longer, ride rides that we wanted to go on, and go sightseeing in a way that would have led to a pair of very cranky kids. We returned home exhausted, but also refreshed. Yes, we love our kids more than anything, but it is good to get away from them from time to time as well. 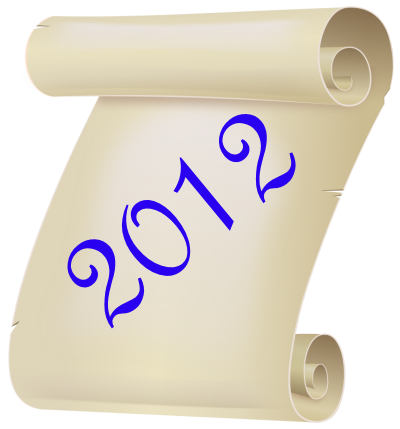 How did you do with your 2012 resolutions? On Tuesday, I launched FollowerHQ to help Twitter users manage their followers. I’ve heard that many people follow back whenever anyone follows them (usually via automated tools), but I never saw the use in that. If I auto-followed everyone, I’d probably wind up not caring about most of the updates in my stream. I’d also likely wind up following a bunch of spammers. Instead, I tend to review each person who follows me to see if I want to follow them back. The tediousness of this procedure led me to create FollowerHQ. 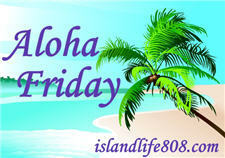 I have two Aloha Friday questions for today: First of all, do you auto-follow-back? Secondly, have you tried FollowerHQ yet and, if so, what did you think of it? Come to think of it, that’s kind of three questions.